Getting a home loan to purchase your first property can seem like a daunting task, with banks tightening their belts and making stringent credit appraisal norms. Deciding to buy your first property is a humongous decision you are called upon to make, exciting though it is to think that you will finally have a roof over your head that you can call your own. However getting a home loan to purchase your first property can seem like a daunting task, with banks tightening their belts and making stringent credit appraisal norms. However, if you do things right, there is no reason why your loan application should not get approved in a matter of a few days. If you are running around from pillar to post, trying to figure out the exact steps to getting your first home loan, fret no more, for here we are with a few simple yet crucial steps that will bring you closer your dream home. 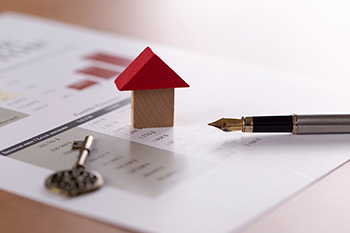 The first step towards taking a home loan is self-assessment. A true assessment of you assets, liabilities, financial responsibilities and existing credit lines will lead you to a figure that reflects your true affordability. The key is not to overleverage yourself. Do bear in mind that your home loan EMI should not exceed 60% of your take home salary after deducting the repayments on your existing credit lines. Ending up with an empty wallet at the beginning of the month, just because you are buying a property does not make sense. Therefore, do not go ahead with the home loan application unless you are clear about your own affordability. With every possible medium screaming advertisements on how “easy” it is to get a home loan, it is difficult not to get influenced. However, do not get carried away by mere advertising. Carry out a proper comparison of lenders on the various aggregator websites before you narrow down on your choices. Comb through their websites and make the best use of social media to understand their credentials and the kind of experiences people have had with them, before you decide which the best option for you. This is a step that most people tend to ignore while making a home loan application. Your CIBIL score is of primary importance as it is one of the factor that decide your credit worthiness. If your CIBIL score is below the satisfactory level of 750 (out of 900), it is likely that your loan application may get rejected. Check your CIBIL score at least three to six months prior to making a loan application. Check your CIBIL report for errors and report a dispute if need be. Do ensure you have a blemish free credit record before you make the loan application. Documentation can cause a real glitch in your home loan application process if you are not adequately prepared with all the documents you need to produce as a part of your application. Whether it is loan aggregators or the banks themselves or various other internet articles that list out all the documentation needs. Read through the requirements carefully and get your documents in order so that there is nothing amiss when you finally apply and your application goes through smoothly. Now that you are adequately prepared and have zeroed in on your choice, it’s time to walk into the bank. Before you agree to the terms and conditions as laid out by the lender, make sure you are thoroughly aware of the important components such as interest rates, pre-payment options, various charges and penalties. Remember that no question is not worth asking while making the final negotiations. In fact if you have a great CIBIL score of 850 and above, you are in a position to negotiate for better interest rates on your loan. You may even be able sweeten your deal further by getting a waiver on things like processing fees. Taking a home loan is not just a life altering decision, you are also making a commitment and establishing a long term relationship with your lender, so choose wisely and you will rep its benefits throughout the entire tenure of your loan! The author Rajiv Raj, is Co-Founder & Director, CreditVidya.